Flipkart, on Monday, has released a teaser featuring Motorola’s much awaited Moto C Plus smartphone in India. 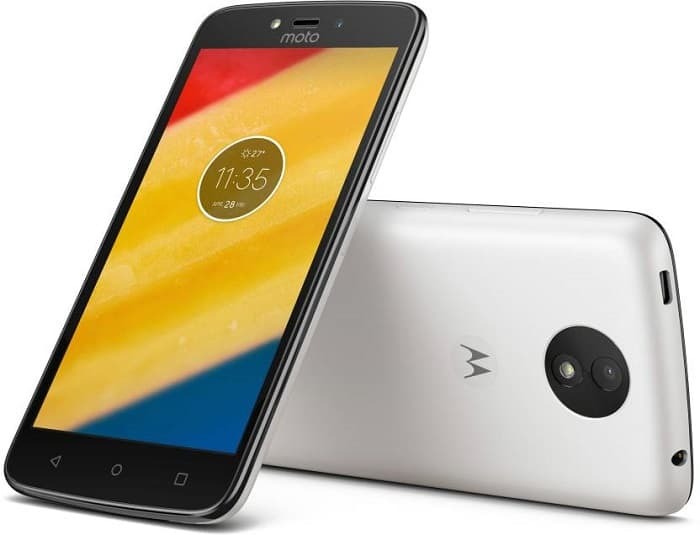 Moto C Plus is a budget oriented smartphone which has been developed especially for budget users who avoid paying a hefty price in exchange for a flagship device. The phone comes with a massive 4000 mAh battery and Android Nougat 7.0 OS and will be available for sale on Tuesday 20th June from 12 P.M onwards, exclusively on Flipkart. Priced at Rs 6,999, the phone is now listed on Flipkart in three color variants namely – Starry Black, Fine Gold, and Pearl White respectively. Moto C Plus smartphone has a nice rectangular design with curved edges at the corner. It has a dimension of 144 mm x 72.3 mm x 10 mm and weighs around 162 gm. It has a 5-inch long touchscreen display which has a resolution of 720 x 1280 pixels (HD). The device also has a micro-textured finish body which not only makes it look sleek but also elegant in appearance. Coming to its hardware, the phone has a 1.3 GHz MediaTek MT6737 quad-core processor coupled with 2 GB of RAM. It has an internal memory of 16 GB which is expandable up to 128 GB via microSD. It has a primary camera of 8 MP with f/2.2 aperture and dual –LED flash and a secondary camera of 2 MP. The device has a massive 4000 mAh removable battery which serves up to 30 hours on a single full charge. The presence of the latest stock Android Nougat OS further ensures the compatibility of the device to recent apps and security updates, thus, making the device updated and protected. Wi-Fi 802.11/b/g/n, Bluetooth v4.1, GPS, USB tethering, etc are the major connectivity options available on this device. It also has a 3.5 mm audio jack for FM and multimedia connectivity. The phone comes with 2 dedicated Nano SIM-Slots which supports 4G VoLTE, 4G LTE, and 3G mobile networks respectively. Sensors onboard include Ambient Light Sensor and Accelerometer only. One who buys it can avail JIO Prime offers, additional 20% off on Flipkart Fashion Sale and a hefty discount on Motorola Pulse Max Wired Headset which can be bought at Rs 749. Hence, at a price of Rs 6,999, Moto C Plus is a smartphone that offers a big battery life and decent hardware. Though it will face competitions with the likes of Redmi’s budget-oriented smartphones, it's stock Android, and extra bundled features will definitely give it an edge over others. Though the sale figures will come out shortly, it will definitely find its way to many budget users and teenagers who are looking for a mid segment budget device.